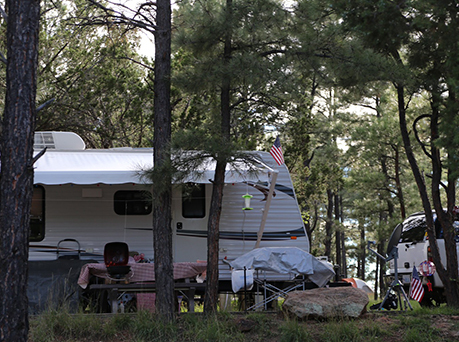 Imagine camping any time of the year among 100-foot pine trees by a quiet lake. Fool Hollow State Park offers these recreational opportunities and more at this oasis in the forest. Jul 12-14, 2019 10:00 a.m. Whether its fishing, boating, or paddling, Fool Hollow's peaceful waters give everyone a chance to enjoy the lake. 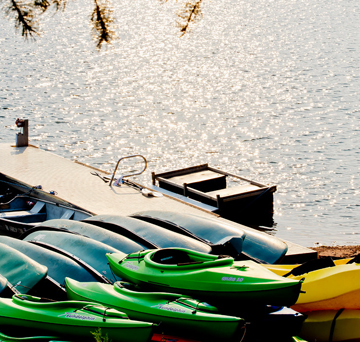 Rent a paddle watercraft from our on-site concessionaire. Gates closed from 10:00 p.m. - 5:00 a.m. In 1885, Thomas Jefferson Adair moved into the area with the intention of farming. The locals joked that only a fool would try and farm the place. The name stuck! The tiny town of Adair has long since been covered by the lake, but it was Adair who was responsible for the name Fool Hollow. The park along the lake, located in the Apache-Sitgreaves National Forest, opened in 1994 as a result of cooperation between the U.S. Forest Service, Arizona State Parks, Arizona Game and Fish and the city of Show Low in partnership with Arizona Public Service and McCarty Construction Company. Today, visitors can camp among the tall pines and hike along the lake at a cool 6,300 feet in elevation. Year-round camping, fishing, picnicking, boating and wildlife viewing opportunities make Fool Hollow Lake Recreation Area a popular place.